Introducing the new Ryobi ONE+ 18V Brushless Hammer Drill Console. This next generation hammer drill delivers previously unseen levels of power, runtime and durability for the DIY user. Moreover, the hammer drill comes with E-Torque clutch control regulating power to avoid overdriving and damaging materials. The ergonomic handle (Ergo-Tech) increases user comfort. 40% more runtime, 20% more power, 10% more durability. 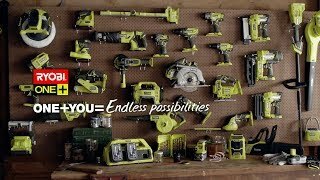 Ryobi’s new BRUSHLESS drills are packed with the latest innovative technologies. It’s not just a new motor, there’s an on board computer that controls the highly sophisticated electronics, state of the art Lithium + battery technology and an electronically controlled clutch. The combination of these innovative technologies working together optimises the tools output to deliver this huge performance increase.